In 2012 Herman Ostrow School of Dentistry performed a study of 1500 socioeconomically disadvantaged youth and high school students, and the results were shocking. Parents caring for children with dental problems missed an average of 2.5 days of work per year. Children who stay home due to a toothache face a struggle to concentrate or feel well enough to study or attend class. In fact, Ostrow researchers found that children who reported feeling symptoms of recent tooth pain were four times more likely to have a lower grade point average than the 2.8 GPA standard, when compared to children who did not have dental pain. Tooth pain and oral discomfort can be indicators of diminished oral health, and have far reaching effects on a child’s well being. If this tooth pain goes untreated it can lead to tooth decay that may negatively affect a child’s ability to speak, socialize and even sleep. Recent studies have shown that children with poor oral health were three times more likely than their healthy classmates, to miss school because of dental pain. Untreated cavities and poor oral health habits will often carry from childhood into adulthood. In that way, it is more likely for children with poor oral health who lack good dental hygiene habits to have unhealthy teeth as adults. So, it’s important for parents and caretakers to encourage their children to develop healthy habits. Children can start learning good habits from an early age. Once a child can hold a toothbrush they can start to develop healthy dental habits! Visiting the dentist within six months of a child’s first tooth popping its way through the gums is essential for developing a positive relationship with the dentist and learning healthy habits. Children should be encouraged to brush their teeth twice a day with fluoride toothpaste. Eating wholesome foods and avoiding too much sugar will help to keep teeth cavity free. Drinking water after eating can help dislodge any food stuck between teeth and also wash off any sugars from the surface of the teeth. 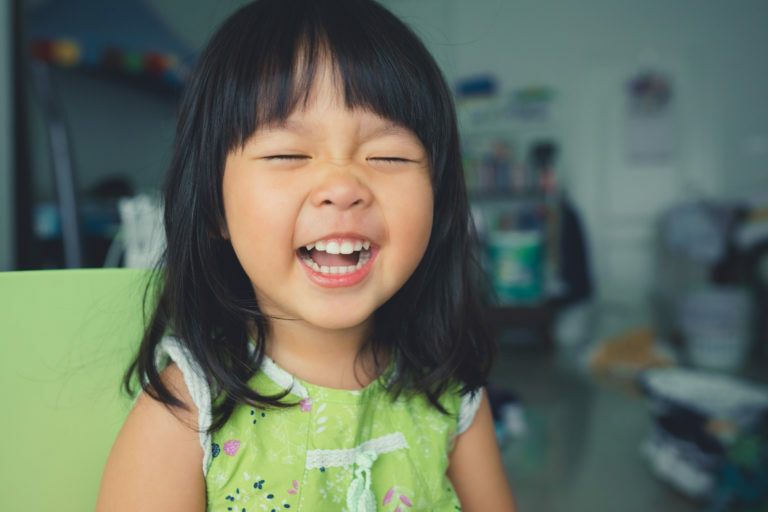 Pediatric dentistry with Vienna, VA dentist Dr. Priti Naik can include the placement of dental sealants, or plastic coatings, on the back teeth, to protect them from potential infection and decay. And, as always, regular visits to the dentist will help in the detection of early disease or decay, finding and taking care of the problem before it becomes more serious and costly. If you are looking for a kids dentist in the Vienna, Tysons Corner, Falls Church area, Dr. Priti Naik DDS would love to take care of your child’s dental needs. Dr. Priti Naik DDS along with her staff have created a warm and welcoming environment for children of all ages to have a positive experience at the dentist. Not only does Dr. Priti Naik DDS and her staff care about the dental health of their youngest patients, they also enjoy the opportunity to set a child up with positive oral hygiene habits, so they can enjoy a smile that will last a lifetime.